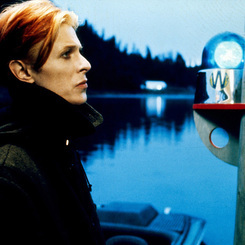 The incomparable David Bowie’s first starring film role was appropriately otherworldly: Bowie plays an extraterrestrial who finds himself on Earth while on a quest for water to take back to his home planet. It doesn’t take him long to rise among the corporate Earthling ranks as a successful businessman. But his business acumen and secret identity quickly land him in trouble with his rivals and the government. 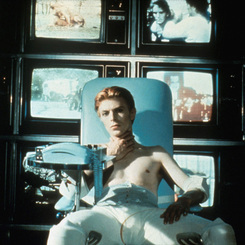 The Man Who Fell to Earth is a wildly imaginative and visually provocative work of science fiction, featuring incredible performances by Bowie, along with Rip Torn, Candy Clark, and Buck Henry. Screens with Landing Ship X-1, directed by Dave Hanagan.